Three examples of Leonard Bernstein’s vocal art can be heard in this recording. 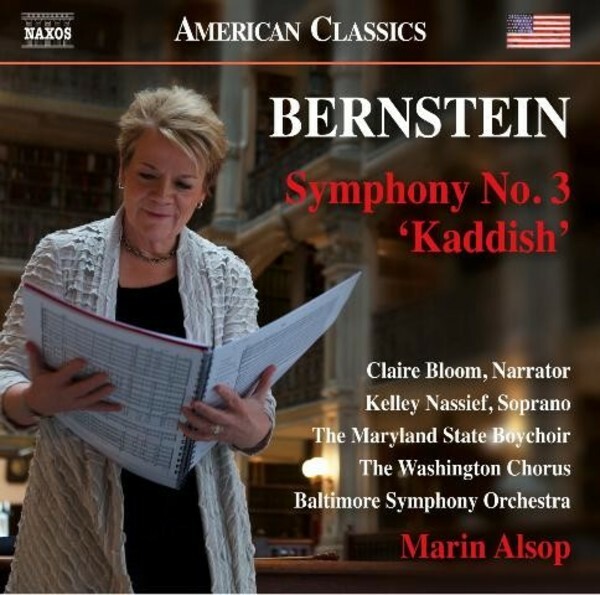 His Symphony No.3 ‘Kaddish’ shuns traditional symphonic ideas in favour of an eclectic theatrical and oratorio-like form with a prominent rôle for speaker. For this recording Marin Alsop has returned to the work’s original narrative text, heard before the 1977 revision. The Lark – heard in a concert version with added narration – derives from Lillian Hellman’s adaptation of L’Alouette on the life of Joan of Arc, and it was this music that Bernstein reworked into his Missa Brevis many years later. Marin Alsop is a Bernstein protégé, and has written fondly and extensively about studying with him. He mentored her when he was conductor of the New York Philharmonic and few conductors today understand his music better. This disc presents Bernstein the vocal composer performed in largely original editions by one of his best contemporary interpreters. The speaker in Kaddish is the great actress Claire Bloom.